Gurpreet Mahajan is Professor of Political Science and Co-ordinator of the DSA (Department of Special Assistance) programme of the Centre for Political Studies, School of Social Sciences. Over the years she has received of a number of prestigious fellowships. She was a Senior Fulbright scholar at Columbia University, New York and University of Chicago and a post-doctoral fellow, under the Foreign And Commonwealth Office Award, at the University of Hull, England. She has been a Visiting Fellow at the University of Toronto, Canada and Maison des Sciences D’Le Homme, Paris. 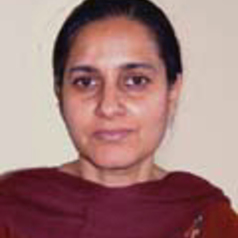 At JNU, she has been closely associated with the Centre for Philosophy and was its Chairperson in 2004-5. She teaches courses in Philosophy of Social Sciences, Political Thought and Theory, Hermeneutics and Multiculturalism, and has written extensively on issues relating to minorities, cultural diversity, religion and state, secularism, civil society and notions of public and private. Her publications include Explanation and Understanding in the Human Sciences (OUP 1992; Second Edition 1997; Third Edition 2011), Identities and Rights: Aspects of Liberal Democracy in India (OUP 1998), The Multicultural Path: Issues of Diversity and Discrimination in Democracy (Sage 2002), and India: Political Ideas and the Making of a Democratic Discourse ( Zed Books 2013). She has edited five books and published over forty Articles. She is on the editorial board of several national and international professional journals. Besides academic publications, she has written for several newspapers.